The rate of imported food in Japan has drastically increased by globalization of food supply. On the other hand, actions for the safety and security of food are not enough. According to statistics published by the Ministry of Agriculture, Forestry and Fisheries, Japan’s food self-sufficiency ratio was under 40 percent. After the cases involving the safety and security of food were reported, Japanese consumers take an interest in them. In addition, Japan is surrounded by the sea and has opulent fishery resources. The self-sufficiency ratio of fishery product is currently decreasing. Today, the general and scientific knowledge of the safety and security of food and seafood for imported food is limited. Therefore it is imperative issues to prepare the information ensuring the safety and security of food on the consumer public. In this study, I focus on microbiological risks of food-borne pathogen on the imported seafood. Eventually I make the concept of establishment of control policies to prevent the health risks caused by eating them. Premarathne J. M. K. J. K., New, C. Y., Ubong, A., Nakaguchi, Y., Nishibuchi, M., Radu, S. “Risk of Escherichia coli O157:H7 infection linked to the consumption of beef” Food Reasearch, 1(3): 67-76. 2017. Thung T.Y., Mahyudin N. A., Basri D.F., Wan Mohamed Radzi C. W., Nakaguchi Y., Nishibuchi M., Radu S. “Prevalence and antibiotic resistance of Salmonella Enteritidis and Salmonella Typhimurium in raw chicken meat at retail markets in Malaysia” Polutry Science, 95(8):1888-1893. 2016. Premarathne J. M. K. J. K., Satharasinghe, D.A., Huat J.T., Basri, D.F., Rukayadi, Y., Nakaguchi, Y., Nishibuchi, M., Radu, S., “Impact of human Campylobacter infections in South-East Asia: the contribution of the poultry sector” Critical Reviews in Food Science and Nutrition, , 57(18): 3971-3986. 2016. Escalante-Maldonado O., Kayali A.Y., Yamazaki W., Vuddhakul V., Nakaguchi Y., Nishibuchi M. “Improvement of the quantitation method for the tdh (+) Vibrio parahaemolyticus in molluscan shellfish based on most-probable-number, immunomagnetic separation, and loop-mediated isothermal amplification” Frontiers in Microbiology, 6:270. doi: 10.3389/fmicb.2015.00270. 2015. Kayali, A. Y., Escalante-Maldonado, O., Vuddhakul, V., Seto, K., Nakaguchi, Y., Nishibuchi, M. “Development of a Method for Detection of Shigatoxin-Producing Escherichia coli Belonging to Clinically Important Twelve O Serotypes Based on the Combination of Pickpen-Assisted Immunomagnetic Separation and Loop-Mediated Isothermal Amplification” International Journal of Immunology and Immunotherapy, 2(1): 1-7, 2015. Nakaguchi, Y. 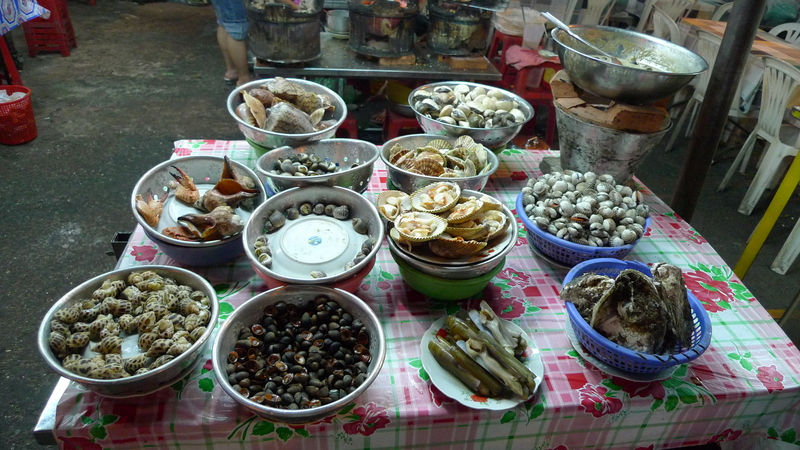 “Contamination by Vibrio parahaemolyticus and Its Virulent Strains in Seafood Marketed in Thailand, Vietnam, Malaysia, and Indonesia” Tropical Medicine and Health 41(3):95-102. 2013.